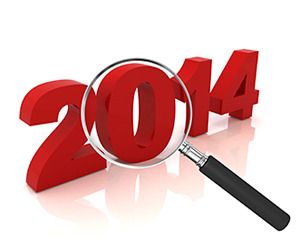 As we approach the end of 2014, it is always a good time to reflect on what transpired through the year, analyze what happened, and apply that analysis to the future. Overall, it was a great year for Hispanic online marketing; more research substantiated the importance of the Hispanic digital consumer, powerhouse digital companies made significant investments in the space, and the World Cup proved that Hispanic online consumers will engage with digital content that engages them. As I outlined this summer, there is abundant research supporting the fact that a critical mass of Hispanics are online and that Hispanics are voracious digital consumers, especially across mobile and social channels. In fact, Hispanics spend most of their time consuming digital media and most marketers now understand that to reach the nation’s largest minority, who control $1.2 trillion in buying power, digital is a must. What is not as easily understood is how to reach them. Not only are marketers faced with a consumer segment that is extremely diverse in terms of language preferences, geography, country of origin and level of acculturation, the Total Market debate and relatively small budgets make the “how” to market to Hispanics online a challenge. That said, I am glad to see the conversation move towards the “how” as marketers realize the importance of online Hispanics to their business goals. Last year, Facebook introduced the U.S. Hispanic affinity segment, allowing marketers the ability to reach the reported 23 million Hispanics who use the world’s largest social network. This year, Facebook upped the targeting ante further splitting the Hispanic affinity segment by language: Spanish-dominant, English-dominant, and Bilingual. Not only does this new segmentation give marketers some guidance into “how” to target Hispanics online, it also provides some insight into the fact that Hispanics use both English and Spanish online. Facebook’s data shows that 42% of Hispanics use Facebook in both languages, 40% use Spanish while the remaining 17% use primarily English. The Hispanic affinity segment, coupled with a recent announcement of a study designed to “understand the roles culture and technology play in how U.S. Hispanics communicate and consume media,” are a clear indication that Facebook gets the why and how of marketing to Hispanics online and is investing in this segment. In October, Google made a clear move in the U.S. Hispanic market by introducing .SOY, a web domain aimed at Latinos. Google describes .SOY as “the domain name for Latino identity and expression on the web,” and a way to connect with online Hispanics. However, reactions to the Latino-focused domain name have been mixed. Supporters like Ana Roca Castro, founder of LATISM, call it an “epiphany of a new era for the Latino community,” while critics, including Latino Rebels, say the Latino domain panders to online Latinos and it’s “obvious that such a move by Google is all about making more dinero.” Whatever side you are on, this initiative is a clear indication that Google believes in the U.S. Hispanic market and if they do, my assumption is that many marketers will follow. We know that online video is booming, especially among Hispanics. The 2014 World Cup provides quantifiable evidence to support this point. According to AdAge, this year’s World Cup generated a whopping 672 million online video views for brands. That’s 30% more than the 2014 Super Bowl. This, coupled with the fact that Hispanics spend 90 minutes more viewing videos on a digital device than the average American, points to a clear tactic for how to market to Hispanics online. Now that most marketers have moved beyond the “why” market to Hispanics online, I look forward to helping answer the “how” in 2015. Relevancy may be the holy grail when it comes to your market. If you find yosurelf not in sync w/ your arena, then get out and get into another that you ARE relevant.